April 30, 2010  Provenge, a new prostate cancer treatment, will cost $93,000. On average, men live about four months longer after treatment. Is it worth it? April 29, 2010  The health care company agreed to pay $81 million to settle claims it marketed the epilepsy drug Topamax for psychiatric uses the Food and Drug Administration had not approved. April 28, 2010  The same drug salesman lies at the heart of federal cases alleging overzealous marketing of antipsychotic drugs by AstraZeneca and Eli Lilly. 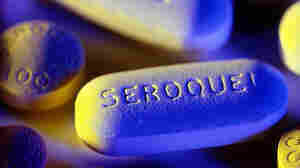 April 27, 2010  The Justice Department alleged the drugmaker illegally marketed Seroquel, an antipsychotic, for wide range of unapproved uses. April 26, 2010  Even before provisions of a new federal health law kick in, quite a few organizations are taking steps to limit financial conflicts of interest in medicine. 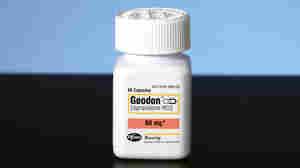 April 21, 2010  The Food and Drug Administration said many children with bipolar disorder received excessive doses of the antipsychotic Geodon in a clinical test. The agency called on Pfizer to improve its conduct of human drug trials. April 2, 2010  Taking medicine to deal with depression won't be an automatic grounding order for pilots. The Federal Aviation Administration announced a new policy that will allow pilots who have been successfully treated to get back in the cockpit. April 2, 2010  The recently passed health law eliminates a tax deduction, which gave companies an extra benefit on top of the federal money to encourage drug coverage for retirees. April 1, 2010  Three-quarters of prescriptions in the U.S. are now for generic medicines, up from a little over half just five years ago.